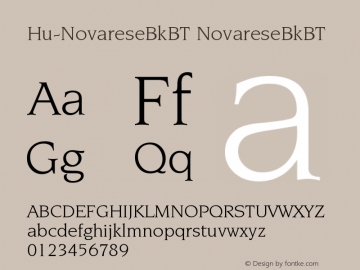 Hu-NovareseBkBT font family series mainly provide NovareseBkBT-Italic,NovareseBkBT-BoldItalic,NovareseBkBT-Bold,NovareseBkBT and other font styles. Huni_Novarese Bk BT Bold font family series mainly provide Regular and other font styles. 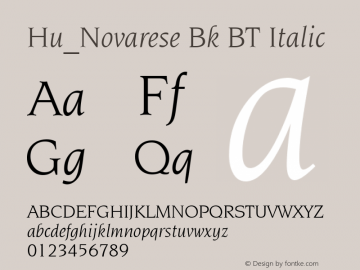 Hu_Novarese Bk BT font family series mainly provide Regular,Italic,BoldItalic,Bold and other font styles. 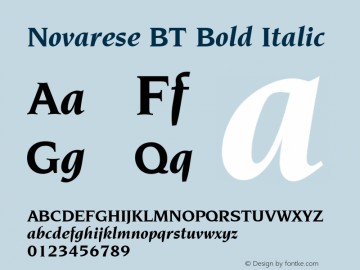 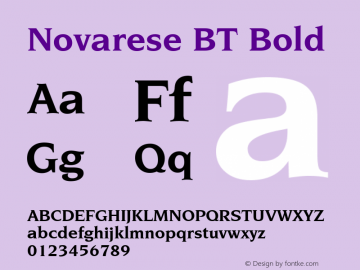 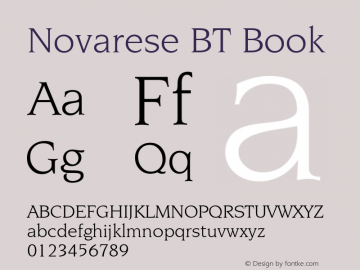 Novarese Bk BT font family series mainly provide Book Italic,Book,Bold Italic,Bold and other font styles. 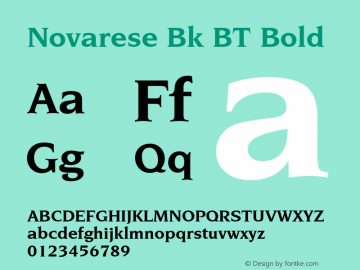 Huni_Novarese Bk BT BoldItalic font family series mainly provide Regular and other font styles. Huni_Novarese Bk BT font family series mainly provide Regular and other font styles. Huni_Novarese Bk BT Italic font family series mainly provide Regular and other font styles.